Background/Purpose : CT-P10 is a proposed biosimilar candidate of rituximab, and it has been concluded to be highly similar to the reference product in terms of analytical and functional characteristics and equivalent to EU-sourced innovator rituximab (EU-RTX) in pharmacokinetics (PK) in the patients with RA through phase 1 study.1 The similarity in terms of PK was tested among CT-P10 and two innovator rituximabs from the different manufacturing sources in RA patients. Methods : A total of 189 RA patients in PK analysis part from a randomized controlled phase 3 study (NCT02149121) was randomly assigned in 1:1:1 ratio to receive 2 infusions of 1,000 mg CT-P10, US-sourced innovator rituximab (US-RTX) or EU-RTX with a 2-week interval. The following PK parameters were coprimary endpoints: area under the serum concentration-time curve from time zero to the last measurable concentration (AUC0-last), AUC from time zero extrapolated to infinity (AUC0-inf) and maximum concentration after the second infusion (Cmax) of CT-P10, US-RTX or EU-RTX. Pharmacokinetic similarity is concluded if the 90% confidence interval (CI) for the ratio of geometric means in AUC0-last, AUC0-inf, and Cmax are entirely contained within the bounds of 80% and 125% for the following comparisons: CT-P10 vs US-RTX, CT-P10 vs EU-RTX, and US‑RTX vs EU-RTX. Results : The PK parameters among 3 treatment groups were highly similar (Table 1). The 90% CIs for the ratio of geometric means for coprimary endpoints fell within the PK equivalence margin of 80-125% indicating that drug exposures from CT-P10 are similar to those from both US-RTX and EU-RTX and also from US-RTX to those of EU-RTX (Table 2). The safety profiles among 3 treatment groups were generally similar. Adverse events (AEs) due to infusion related reaction were reported for 6 (9.4%), 4 (6.2%) and 12 (20.0%) patients in CT‑P10, US-RTX and EU-RTX, respectively. All these events were mild to moderate (grade 1 or 2) in intensity. Six patients were discontinued due to an AE (2 [3.1%], 3 [4.6%] and 1 [1.7%] patients in CT-P10, US-RTX and EU-RTX, respectively). No malignancy, progressive multifocal leukoencephalopathy, serious infection or death occurred in any of the treatment groups. Disclosure: C. H. Suh, CELLTRION,Inc., 5; A. Berrocal Kasay, CELLTRION,Inc., 2; E. Chalouhi El-Khouri, CELLTRION,Inc., 2; P. Miranda, CELLTRION,Inc., 2; L. Bozic Majstorovic, CELLTRION,Inc., 2; S. Jeka, CELLTRION,Inc., 2; P. Hrycaj, CELLTRION,Inc., 2; D. Rekalov, CELLTRION,Inc., 2; P. Wiland, CELLTRION,Inc., 2; A. Krause, CELLTRION,Inc., 2; I. Szombati, CELLTRION,Inc., 2; A. Mihailova, CELLTRION,Inc., 2; I. Hospodarskyy, CELLTRION,Inc., 2; M. Piotrowski, CELLTRION,Inc., 2; S. R. Kwon, CELLTRION,Inc., 2; E. Y. Lee, CELLTRION,Inc., 2; D. H. Yoo, CELLTRION,Inc., 5; W. Park, CELLTRION,Inc., 5; S. C. Shim, CELLTRION,Inc., 5; S. J. Lee, CELLTRION,Inc., 3; T. S. Kwon, CELLTRION,Inc., 3. Suh CH, Berrocal Kasay A, Chalouhi El-Khouri E, Miranda P, Bozic Majstorovic L, Jeka S, Hrycaj P, Rekalov D, Wiland P, Krause A, Szombati I, Mihailova A, Hospodarskyy I, Piotrowski M, Kwon SR, Lee EY, Yoo DH, Park W, Shim SC, Lee SJ, Kwon TS. Pharmacokinetics and Safety of Three Formulations of Rituximab (CT-P10, US-sourced Innovator Rituximab and EU-sourced Innovator Rituximab) in Patients with Rheumatoid Arthritis: Results from Phase 3 Randomized Controlled Trial over 24 Weeks [abstract]. Arthritis Rheumatol. 2016; 68 (suppl 10). 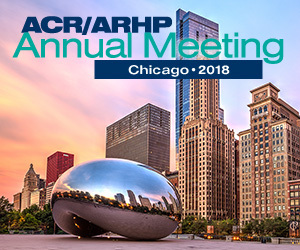 https://acrabstracts.org/abstract/pharmacokinetics-and-safety-of-three-formulations-of-rituximab-ct-p10-us-sourced-innovator-rituximab-and-eu-sourced-innovator-rituximab-in-patients-with-rheumatoid-arthritis-results-from-phase-3-r/. Accessed April 21, 2019.